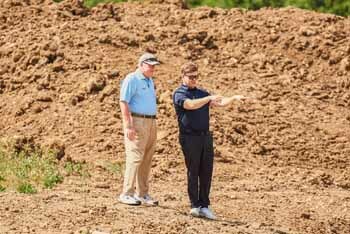 While several golf clubs have closed down in the last few years, including some in 2018 and at least two scheduled to go in 2019, you might be surprised to learn that there are new courses springing up. This summer for instance, Allerthorpe Golf & Park Retreat in Yorkshire opened, featuring a nine-hole golf course. 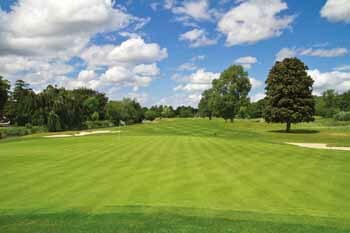 The opening came after six months of extensive work to transform the former redundant golf course. Speaking about the launch, CEO Miles Dewhurst commented: “We have invested significantly in what was a redundant golf course, working with the incredible landscape to bring it back to life for the local community and leisure visitors. 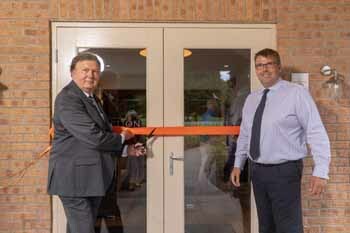 East Yorkshire MP, Sir Greg Knight, at the opening of Allerthorpe Golf & Park Retreat in Yorkshire with the club’s CEO, Miles Dewhurst. Twenty holiday home plots for the new course have been released, ready for the first owners to enjoy from Easter 2019. In the same week that this new course opened in August, it was revealed that the south east of England will soon get two new 18-hole courses. 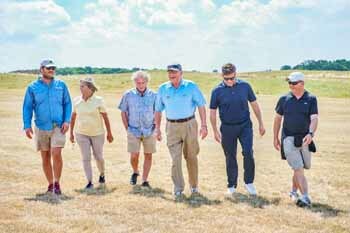 PGA professional Ceri Menai-Davis, director of West London Links, said: “We are pushing the boundaries of what is possible as regards sculpting a golfing landscape, with dramatic shaping which UK golfers have not seen before at an inland links. 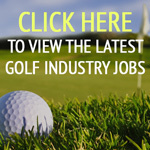 The second new golf course is located near Edgware in north London, where construction has started on The Dye London, a Tour-style golf course scheduled to open in 2023. 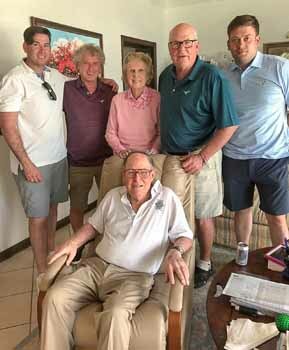 “Speaking as someone who, in the late 1980s, was barred from joining a golf club because my face didn’t fit, I have been fortunate to have worked subsequently with the world’s best golfer, Seve Ballesteros, and with the world’s best golf architects, the Dye family,” said Tony Menai-Davis, managing director of both venues, plus The Shire London and West London Golf Centre. Dumbarnie Links and The Feddinch, both in Fife, as well.